Everton defender Kurt Zouma showed off his skills while training with France and it seems some Toffees fans were left in awe of a result. The 24-year-old centre-back who is on loan from Chelsea for the season had the official Twitter Toffees account and the official Twitter of the France national team gushing on Tuesday and it was all rather odd. Zouma is just seen doing some keepie uppies and is it really a surprise that he has that is his locker? While one Toffees fan claims the clip means that the defender is better than Theo Walcott, that’s more an incident of how the majority fans feel about the former Arsenal attacker currently. 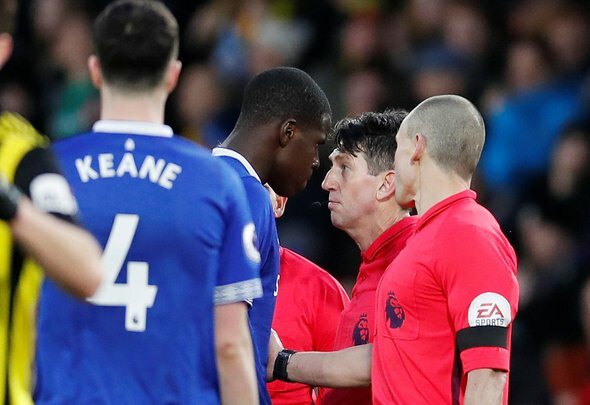 Zouma may be getting praise for showing his skills but the majority of Toffees supporters will just be hoping he returns and is a solid presence at the back for the rest of the season. The centre-back has excelled at times in his 29 outings for the club this season but he has had moments where he has looked like a liability.